Hace unos días di un paseo por los puestos de la Rambla para comprar flores y hojas de eucalipto. Desde que las puse en mi salón, toda mi casa huele increíble. ¡Además duran semanas y semanas! En las fotos llevo americana de Zara, jeans de Topshop y deportivas de Mango. La cesta me la regaló mi madre este verano… probablemente la compró en Ibiza o Formentera. ¡Espero que os guste! 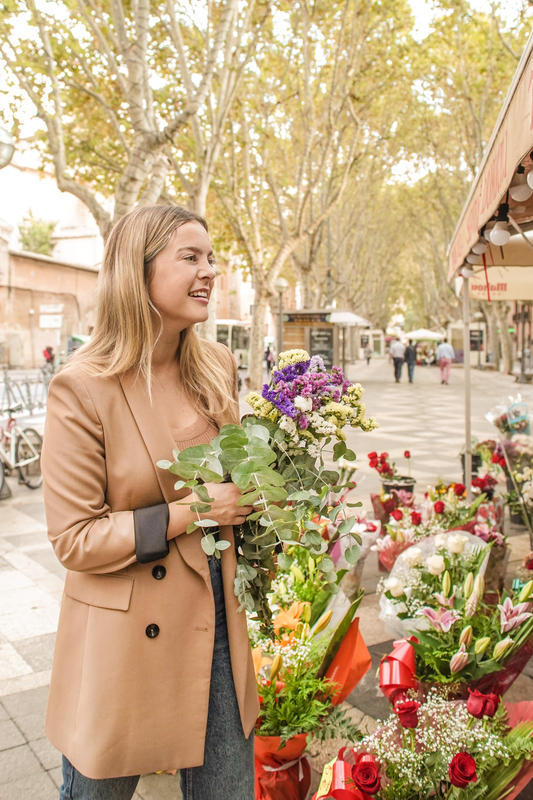 I love seeing La Rambla full of autumn vibes with new flowers and new colors. Even though some of the people around me don’t understand it, Autumn is my favorite season of the year. The fact of leaving the unbearable heat behind gives me life again! Not to mention the fact that I can start wearing jackets, blazers, long jeans… I absolutely love that! Plus, Halloween is just around the corner! 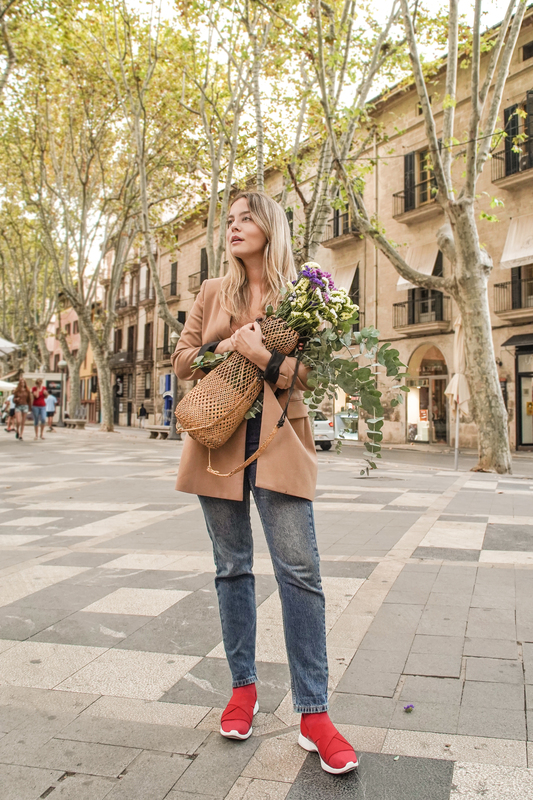 A few days ago I was taking a stroll around the city and I stopped by La Rambla to get some fresh flowers and eucalyptus leaves for my living room. I adore how they smell! I’m wearing a camel jacket from Zara, mom jeans from Topshop and sneakers from Mango. The vintage basket is from my mom, she probably bought it in Ibiza or Formentera. Hope u like it!